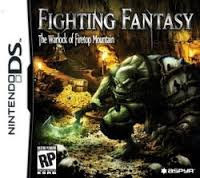 Fighting Fantasy The Warlock of Firetop Mountain NDS apk android for DraStic free download working on mobile and pc,Nintendo DS EmulatorBased on the legendary book series by Ian Livingstone and Steve Jackson, Fighting Fantasy: The Warlock of Firetop Mountain is a first-person fantasy role-playing game that takes players on an elaborate adventure through the Firetop Mountain Keep, the scene of the first entry in the renowned literary line. 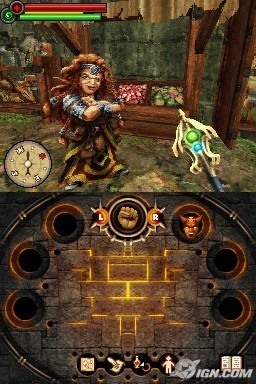 The game follows a lone adventurer on his travels through the old Dwarven keep within Firetop Mountain. Now the residence of an evil warlock and hordes of foul creatures, the keep is a mysterious and dangerous place from which no one has returned in many years. 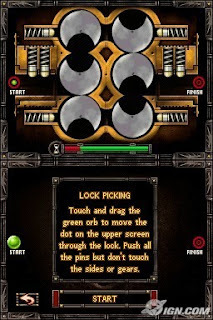 As players guide the adventurer through the many passageways and dungeons, they develop the character’s abilities and attributes to suit their play style. Enemies will fall before the player’s brute strength with sword and axe, power of the arcane arts, nimble quickness or custom combinations of skills. A wealth of weaponry, armor, potions and enchantments are equipped through an intuitive drag-and-drop inventory system while helpful (or not-so-helpful) NPCs provide guidance, quests, trade goods and skill training.More than 10 hours of RPG gameplay. Explore vast dungeons, fight hordes of powerful monsters, discover glittering treasure and achieve fame and fortune through conquest. Choose from hundreds of weapons and armor pieces, including rare enchanted items, as you crush skulls and eviscerate enemies. 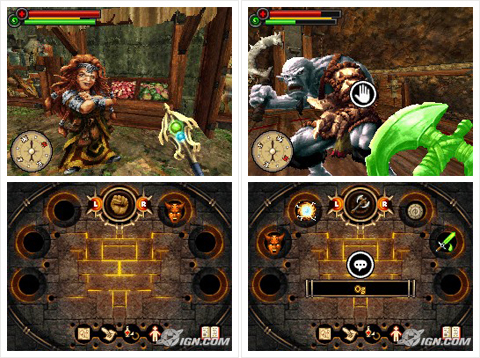 Learn powerful spells that will protect your character in combat or cause serious damage to enemies. Enjoy in-depth NPC interaction. Speak with characters to find information you need to move forward in your quests, learn new skills, trade and more. Fight an impressive diversity of monsters as they attack with fireballs, axes, poison, spells and more.